If like me you enjoy a little all you can eat Korean BBQ now and again, then you'll want to invest in one of these. 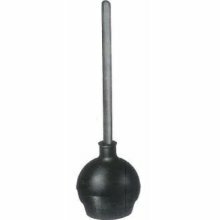 A 6" bell force cup plunger with 19" handle. I'll even teach you the technique to its usage which was taught to me by a man of the trade.